I don’t know about you guys, but I like to be prepared for everything, not just for eventualities related to my marine tank, but for everything in life, as I don’t like surprises. Okay, I like some surprises, like once a busload of Miss Universe contestants stopped in front of my workplace and I was able to stare…I mean stay…there all day. Of course we can’t plan for everything, but we can plan for the things that already happened to us because they will most likely happen again. If your pump, skimmer, sump, or bathtub leaks once, there is nothing you can do about it, but if it leaks a second time, it is your fault because you should have planned for it to leak again. About 15 years ago, I came down the stairs to my finished basement where my reef is and as soon as my foot touched the floor, which is covered in carpet, I heard that dreadful squishing sound and knew immediately that something in the tank leaked. It was my skimmer, which is a five-foot DIY model and is bolted to the back of my tank. If I had not been home, the entire tank would have emptied onto the floor. Now, my wife goes to the gym every day, so she can probably take me in a fair fight. She is a fanatic housekeeper and even washes the light bulbs, so you can imagine how she reacted to 25 gallons of salt water on the newish carpet. And my nitrate is high, so it was probably stickier than normal! A week or so later, I came out of hiding from my wife and added a five-gallon bucket under the skimmer with a DIY auto shut-off on it so that if the skimmer leaks or overflows, the homemade shut-off switch will kill the pumps controlling the skimmer. It happened twice after that, but nothing happened except the pumps went off. My shut-off switch is a normal GFCI that I plug my pumps into, and I take a wire from the neutral “load” side of the GFCI and run it to the floor. Then I take a ground wire from the same GFCI and run it next to the other wire. You can tape them to the floor or put them in a little container. If salt water spills on these two wires, the GFCI will shut off, killing the pumps. An alarm can also be added easily. Is this legal? I doubt it, but neither is parachuting off the Golden Gate Bridge, which doesn’t stop people from doing it. But it is not dangerous, as the neutral does not carry any current. If you don’t know how to do that, don’t do it; just go and watch a rerun of Oprah. I think she is giving away another Cadillac to a homeless cat. Here on Long Island, our power lines are above ground, so we have blackouts after hurricanes (such as Sandy) or snowstorms. They don’t happen often, but when they do, not only does the tank go off, which is not my biggest concern, but the house heat also goes off. Years ago, I bought a generator so these things don’t really bother me much except for the annoyance of having to start the generator. It is not a big, expensive generator; I think it cost me $450, and it runs the entire house. But after Hurricane Sandy, even though I had a generator, there was no gas to be had on Long Island, so I had to siphon it out of my cars. My power was only out for four days, but some people were without electricity for weeks. Virtually all of those people told me they were going to install a generator as soon as they again became available, but as of today, not one of them has, and I know the next time the power goes out, they will again tell me how lucky I am to have a generator. I am not sure what luck has to do with driving to Home Depot and buying a generator, but as I said, gas was very hard to get, and I am sure we will have more hurricanes, so I ordered a conversion kit so the generator will run on natural gas in addition to gasoline. I will be prepared for the next storm even though I hope to never have to use it. Long Island has some of the highest electric rates in the country and people complain about it all the time. Instead of complaining, I decided to do something about it. I installed solar panels on my roof, which cut my electric bills by $110 a month. We also have some of the highest heating oil costs in the country, so I did something about that. I installed a condensing gas boiler for heat and hot water. This saves me about $4,000 a year in utilities, so it paid for itself in a year. It was another no brainer. Before I had a generator (or enough money to buy one), I used my scuba tanks for water circulation. I bought a cheap regulator for the scuba tank that cut down the 3,000 PSI of air pressure to about 4 lbs so I could run a few airstones. One scuba tank can keep the aquarium water circulating for about a day, maybe longer. Fish need oxygen, and circulating water will bring it to them. Unfortunately fish don’t know how to start fires, so without heat, they will freeze. Adding antifreeze to the tank is probably not a good idea. I would imagine a few firefish or flame scallops could supply some heat, but I have a problem with firefish as they always jump out (to save time, after I buy them, I gently open the bag and throw them on the floor). I don’t use a sump, but I did have a smaller tank next to my tank at the same height. I used that tank as a manifold, and I had a pump in there that would pump water to my skimmer and reverse UG filter. There was a siphon hose from my tank to that small tank, and it worked very well for years. Before leaving on a trip, I decided to add a second siphon hose to that setup just to be sure. Big mistake! When I got home from that trip, the small tank was empty, the pump was burned out, the skimmer was doing nothing, and no water was circulating through the UG filter. That second siphon allowed more water to enter the small tank, but the water in the two siphons ran slower, which caused bubbles to collect in both siphons, shutting them off. The one siphon pulled in water fast enough that any air bubbles just ran through into the small tank. That was a stupid mistake, and I should have tested that setup before I left for a week. I learned very early in my life to be prepared, and if I didn’t, I would not be here today. 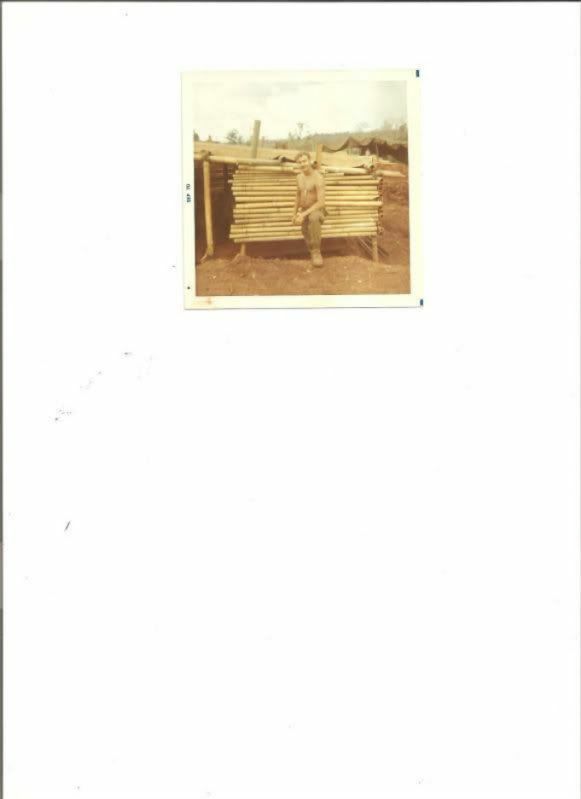 My first two weeks in Vietnam were uneventful, but I was always in a small clearing in the jungle and I never felt really safe. I was told that when the enemy attacked, they first used mortars and RPGs (rocket-propelled grenades) and rockets. Then they ran at you with everything else. We always filled sandbags and placed them around us, so when we slept, we were kind of safe from shrapnel as long as we didn’t take a direct hit. I remember lying there my first week at night in total darkness, realizing that I was 50 yards from the tree line and all that was protecting me from a direct hit was a little chest hair—kind of the way some people feel a DSB and some $5.00 test kits will save their tank. Anyway, I decided to cut down some bamboo that was like six inches thick and growing all over the place. I took the bamboo and made another wall a few feet in front of the sandbags. A week later, we were attacked by 400 NVA troops, and sure enough, they hit us with rockets and mortars before they ran at us. But my bamboo cushioned the first hit and the sandbags protected me from the shrapnel so I could get out and do what I was supposed to do. If it were not for that bamboo, I would be toast. I luckily never got the chance to test whether my chest hair was up to the job. So if you think ahead and try to plan for things that most likely won’t happen, you won’t be at risk of becoming toast more than once. And it is easier to learn to be prepared before something dreadful happens—because if it can happen, it probably will. Nice article Paul, and thank you for your service! I can’t agree with there being no excuses the second time more.